I don’t really know what I was expecting when I ordered this book, I suppose, having recently returned to work after having a baby I was looking for some help in combining work and family life as I have suddenly become aware of the organisation required! As well as some general tips on creating a healthy work life balance for yourself, this book contains 16 chapters of work/life interviews with business leaders from Sir Dominic Cadbury to Sir Richard Branson. Each chapter covers their thoughts on the main areas which are important in creating this work life balance: questions over working hours, working weekends, how contactible you are, whether you are interupted in your holidays, how you deal with technology such as email and mobile phones, whether you make it to your childrens’ sports days etc. 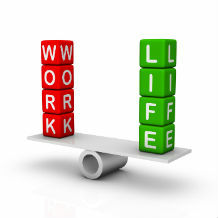 Of course, work/life balance isn’t just for people with children, it’s for people with lives and without that balance you won’t have a life! Friendships, extended family, hobbies, time on your own are all discussed in this book, and the interviewees all seem to have gone through a process of prioritising what they want to spend their time on. Of the 16 business leaders only 4 are women. The support of the partner is an integral part of the success for all of these people as they tell of their own experiences. One sad fact I would say is that generally speaking the person who has made a success in their business life has had a partner who has been able to totally commit to that success rather than someone who is themselves trying to achieve a business career. It would appear to be the case that we do not live in a culture where a couple can both combine career and family life easily. On the whole, it seems that one person has to take responsibility for family life (usually the wife in these examples) to run smoothly. I found this book interesting and motivational. The work-life balance I want to achieve might be slightly different from the ones the interviewees talk about in this book, but one thing is for sure, the only person that can make my work-life balance work for me is me, and this book spells that out with numerous examples!